What if a person who is brave enough to rescue someone in danger acts negligently during the rescue and suffers injuries? 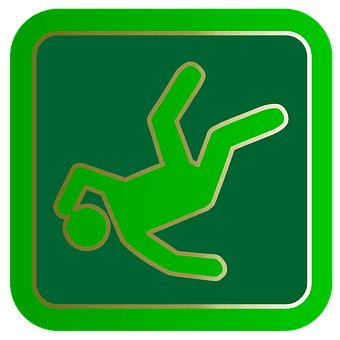 Does RI personal injury law require that a jury apportion fault between the rescuer and the rescued under the comparative negligence statute, as in other negligence cases? In order to answer this question we will first review how Rhode Island’s comparative statute works. Under R.I.G.L. § 9-20-4, in a personal injury case where the plaintiff had not been using “due care,” at trial the jury will reduce its damages award in proportion to the plaintiff’s percentage of negligence. For example, if the jury awards $100,000 to the plaintiff but decides that the plaintiff was 30% at fault and the defendant (or another) was 70% at fault, then the plaintiff will receive 30% less than his award, or $70,000. In the case of Ouellette v. Carde, the Rhode Island Supreme Court addressed whether the comparative negligence statute applies in the same way to rescuers. The defendant, Mr. Carde, became trapped underneath his car after it fell off a jack while he was repairing his car’s muffler. The fall of the car also punctured its gas tank, spilling gasoline across the garage floor. Mr. Carde was able to break free and call his neighbor, plaintiff Ms. Ouellette, but passed out during the call. Ms. Ouellette came to Mr. Carde’s rescue, and helped him escape the garage by pressing an electric garage door opener, after which a gas explosion followed. Both parties suffered severe burns. In addition to skin graft surgeries, Ms. Ouellette endured three years of anxiety and panic attacks. At Ms. Ouellette’s negligence trial against Mr. Carde seeking recovery of her medical bills, the jury awarded her $85,000, without considering whether she had been negligent during the rescue. On appeal, Mr. Carde asked the Court to use Rhode Island’s comparative negligence statute to reduce Ms. Ouellette’s $85,000 award if she had been negligent during the rescue. The Court rejected this argument, in favor of protecting rescuers, announcing that comparative negligence can only be used to reduce a rescuer’s award if the rescuer’s actions were “rash or reckless.” The “rash or reckless” standard is a much higher burden than negligence. If you have been injured in a rescue attempt do not hesitate to contact our experienced personal injury lawyers to discuss how you may recover for your injuries and other losses.